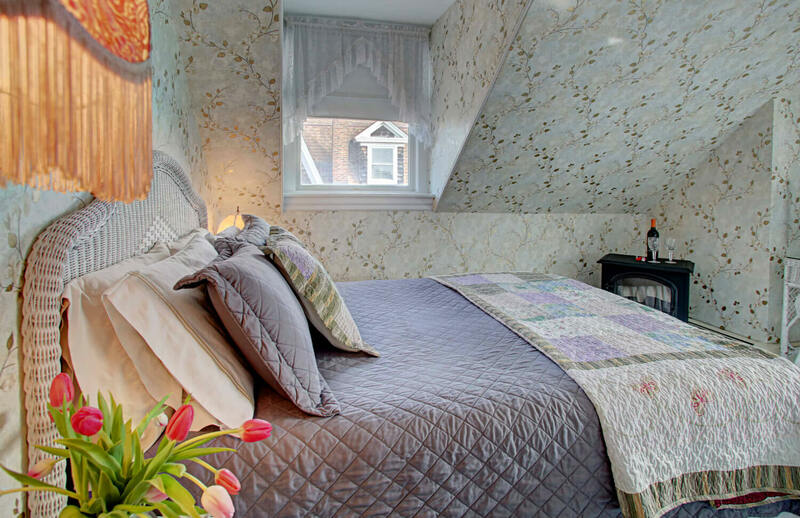 The Buttercup, our smallest room, features a comfortable queen bed and a private bath with a tiled shower, an HD flat­-screen TV, individually controlled heat and AC, a walk-­in closet and Wi­-Fi. It has 2 large windows to create the perfect cross-­ventilation of ocean breezes. There is nothing more relaxing than hearing the waves break as one drifts off to sleep. We provide 2 wine glasses and a wine opener in the room. There is also a complimentary souvenir mug to take home to remind our guests of their relaxing and fun experience at Luther Ogden Inn. The Buttercup faces the front of the house and overlooks quiet Kearney Avenue. 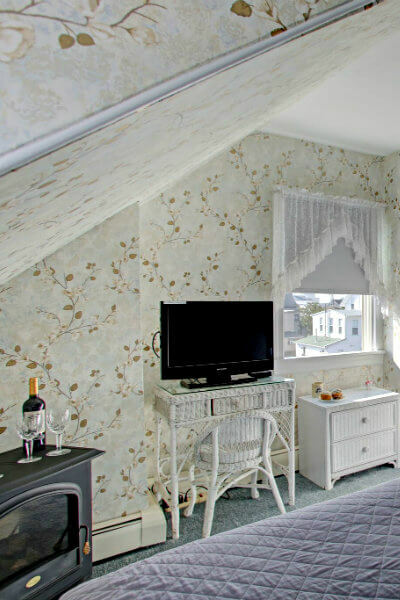 The Buttercup has new wallpaper for 2018 and is decorated in white wicker furniture for that “at the beach” casual feel. 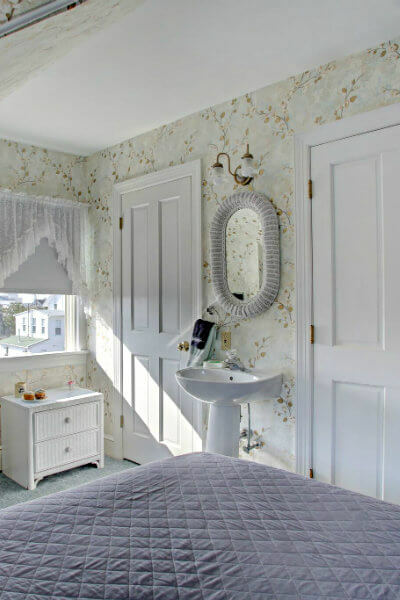 A framed watercolor of Cape May by local artist Patricia Rainey completes the décor.